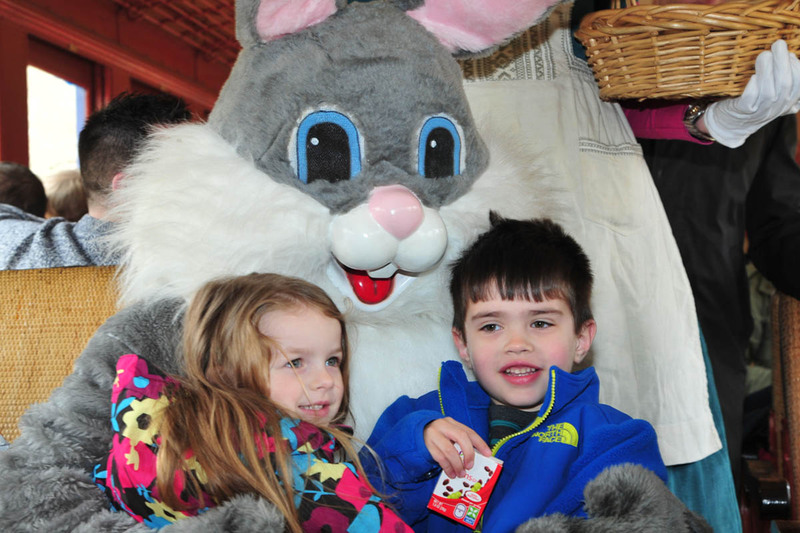 The Easter Bunny hops aboard our train for a 1½-hour round-trip ride to Ashland, and all kids will get a special treat. Bring your camera and have the Easter Bunny pose for a picture with your child. This is a great way to welcome Spring and bring the family out for a fun time on the rails. Groups of 20-25 people can rent one of our red cabooses to have a private party aboard the train. The Easter Bunny will visit with your group during the trip. Learn more about caboose rentals. Larger groups (between 25 and 40 people) can rent our Parlor Car to have a private party aboard the train. The Parlor Car is a larger space with plenty of room to set up food and beverages for your party. The Easter Bunny will visit with your group during the trip.